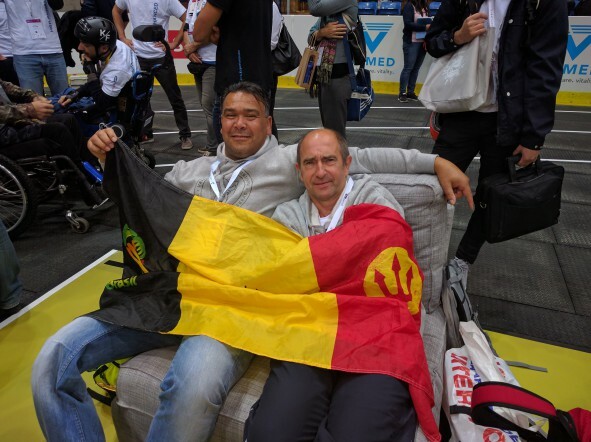 BruBotics - Vrije Universiteit Brussel - 2016 Cybathlon: what an adventure! 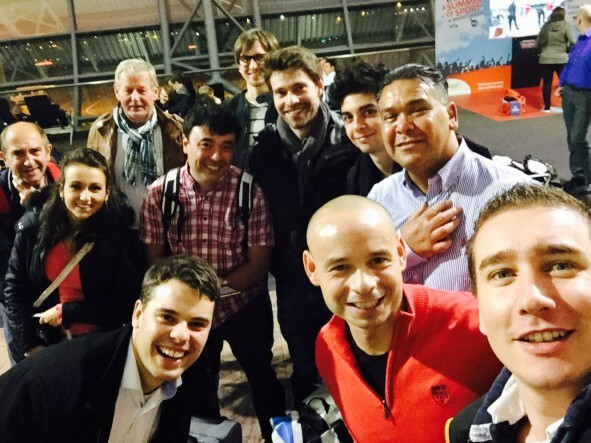 2016 Cybathlon: what an adventure! 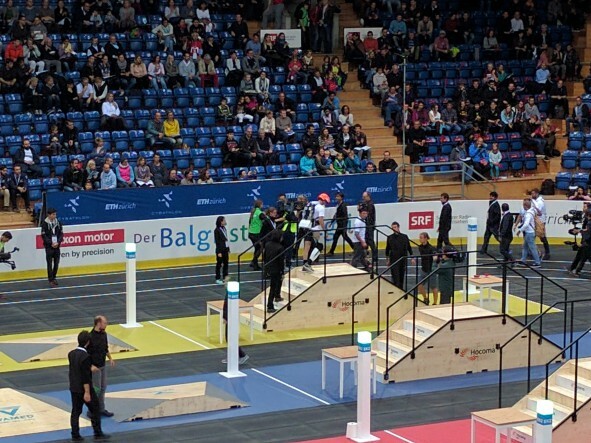 On 8 October #TeamBruBotics participated with 2 teams to the Powered Leg Prosthesis race in the very first edition of the Cybathlon. With the intention to push the existing technologies to its limits, the Cybathlon is a championshop for pilots with a physical disability assisted by (robotic) technologies. This year the very first edition was organized by ETH Zurich. 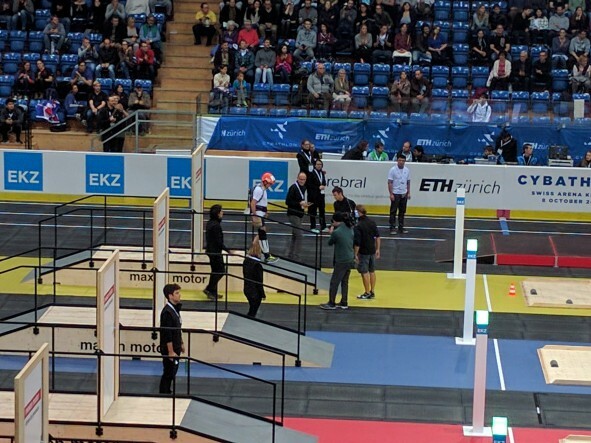 Cheered on by a very enthousastic and sold-out Swiss Arena pilots using the most advanced robotic assistive devices competed against each other in 6 disciplines. Exoskeletons with paraplegic persons needed to overcome a staircase and other obstacles, arm prostheses needed to slice bread and hang the laundry, powered leg prostheses needed to overcome a sofa and other hurdles, powered wheelchairs climbed staircases, brainwaves were used to control a videogame during the Brain-Interface race and paraplegic athletes helped with FES cycled round the stadium. All races were designed to push the technologies to their limits by letting them do seemingly simple yet in reality very demanding challenges. Our two teams, the AMP-Foot prosthesis with pilot Maher Latiri and the CYBERLEGs prosthesis with pilot Michel De Groote, represented BruBotics VUB and by extension Belgium. 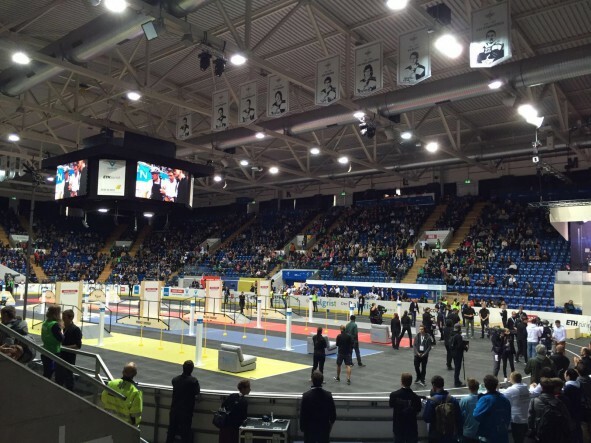 Even though both teams did not make it through to the finals, it is safe to say the Cybathlon was a huge success for our teams. Being the only teams participating with actual research prototypes, both managed to succesfully overcome 4 out of the 6 obstacles presented to them. A huge achievement given the long road these prostheses still have ahead of them. The commercially available Rheo Knee from Ossür eventually won the race, proving nonetheless that prostheses still have a long way to go before they will be able to mimick their human equivalents. For BruBotics, the Cybathlon was not the finish line nor was it the race that truly matters to us. Our race is still long: we want to develop the next generation of prosthesis which mimick the human body, remove the complications that arise from imperfect prostheses on the long term and who offer just the right amount of assistance when needed. Our finish line is only crossed when the people needing better prostheses can use our technologies. Over the past year, both teams made amazing progress thanks to the strong collaboration with the athletes. The input obtained through the collaboration with Michel and Maher will keep us busy for the upcoming years. We are therefore extremely happy that both our athletes, Michel De Groote and Maher Latiri have agreed to continue the collaboration with BruBotics. They will help us to improve the prototypes by giving their unbiased opinion and by inspiring our researchers to push the limits. The CYBERLEGs prostheses will be further developed as part of the 4 year H2020 Cyberlegs++ project, and the AMP-Foot prosthesis is being prepared to enter the market in the upcoming years. The past couple of months have been extremely intensive but also gratifying. We want to thank everyone for showing such massive support to #TeamBruBotics, and want to thank our sponsors Innoviris, AG Insurance and V!GO in particular. Without their help, this entire adventure would not have been possible. Last but not least a very BIG thank you to Michel and Maher, who have sacrificed an enormous amount of time and had to show an enormous amount of patience to train and test our devices.